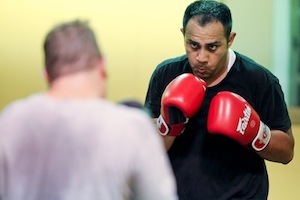 All the fitness programs offered at Krav Maga Institute are rooted in functional fitness. 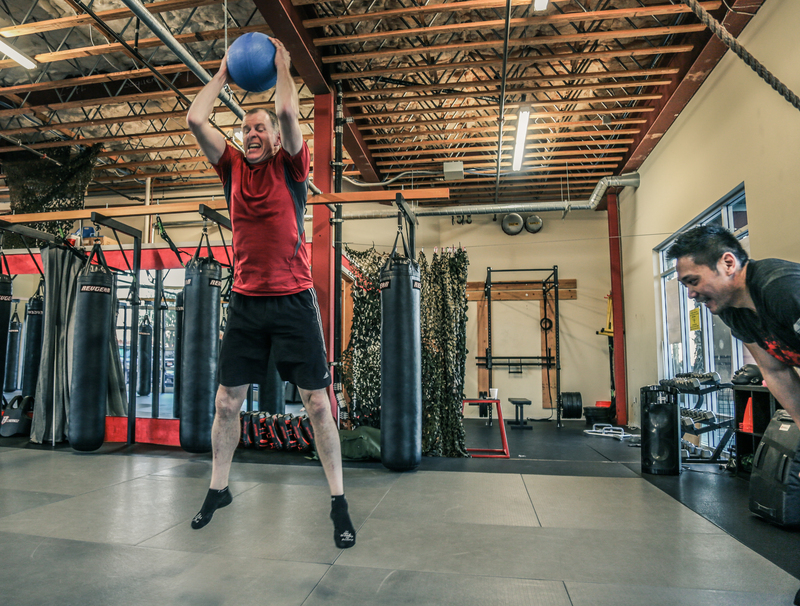 Having functional fitness by itself can greatly boost your ability to defend yourself and prevail under extreme circumstances. All of our fitness programs listed below are included in your Krav Maga, Brazilian Jiu Jitsu, and VIP memberships. Our Fitness-Only Membership is for you if you want to develop your functional fitness through courses and training using self defense movement and combatives. One hour of technical training in Western boxing, starting with basic work and moving into advanced drills of striking combinations, footwork, and sparring (by choice). No experience is necessary. Required equipment: Boxing gloves, mouth guard, head guard. Created by Danny Zelig, Combat Cardio takes a functional approach to cardio training by combining strikes and basic training drills. Students strike heavy bags using combative strikes and realistic combinations to get a solid workout as well as reinforce combative techniques taught in the regular Krav Maga classes. No martial arts experience is required and basic techniques will be taught in class. Be prepared to sweat. 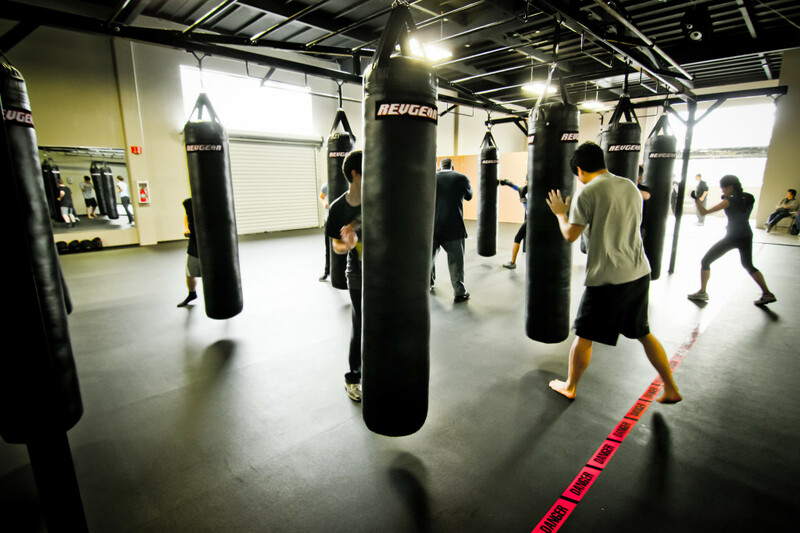 Gloves or wraps are recommended for the Combat Cardio class, but are not necessary. A new program developed with Griffin Fitness, SPEC is Specialized Programs for Exercise and Combat. Designed specifically with fighters in mind. This course is appropriate for those who have already been training and are looking to get that extra edge in their overall fitness. Stepping beyond the standard cardio classes, this class focuses on bursting strength towards supporting superior conditioning and endurance for fights. SPEC classes incorporate bodyweight training as well as props such as TRX, kettlebell, weighted sleds, tires, and more. Kettlebell training is the cutting edge in fitness. Used by UFC champions and movie stars alike, kettlebells are well-known to improve cardio, strength, and overall conditioning. KMI offers both Sport and Russian (HardStyle) Kettlebell styles. 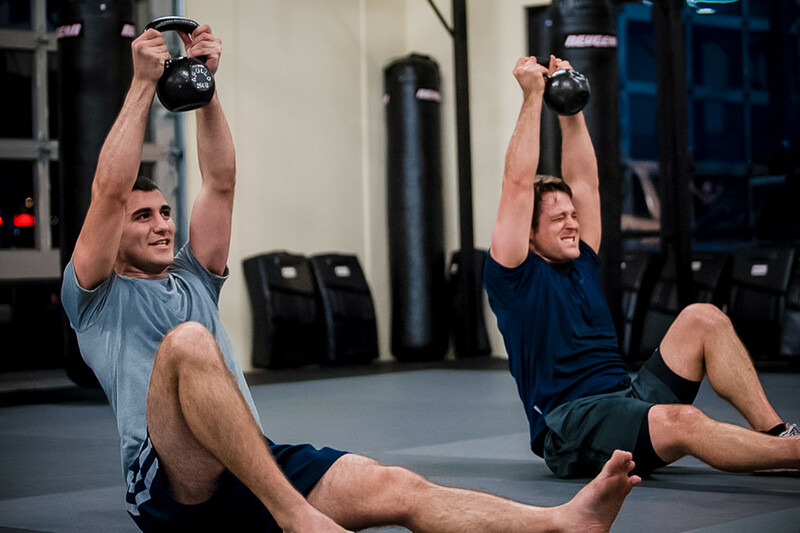 Kettlebell training is also integrated into our SPEC program and is a perfect complement to your Krav Maga and BJJ training regimen. Foam rolling is a self-myofascial release (SMR) technique that is used by athletes and physical therapists to relax connected muscles, improve blood and lymphatic circulation, and stimulate the stretch reflex of muscles. Myofascial release is an important component of recovery from physical training. We are proud to offer a custom Foam Rolling and Stretching program, designed for the needs of our fitness and Krav Maga practitioners. The material covered will vary from session to session and can be tailored to immediate needs and concerns. Equipment will be provided (such as foam rollers and lacrosse balls), but you may bring your own. 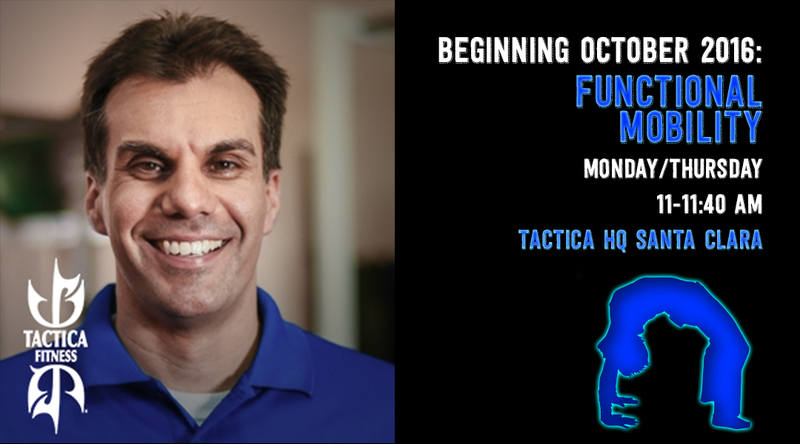 Tactica’s SPEC Boot Camp is a 6-week training program that features our strength and conditioning class. SPEC (Specialized Program for Exercise and Combat) is a regularly offered class at Tactica specially designed for fighters. The goals of the SPEC program are to improve strength, speed, power, and cardiovascular conditioning. 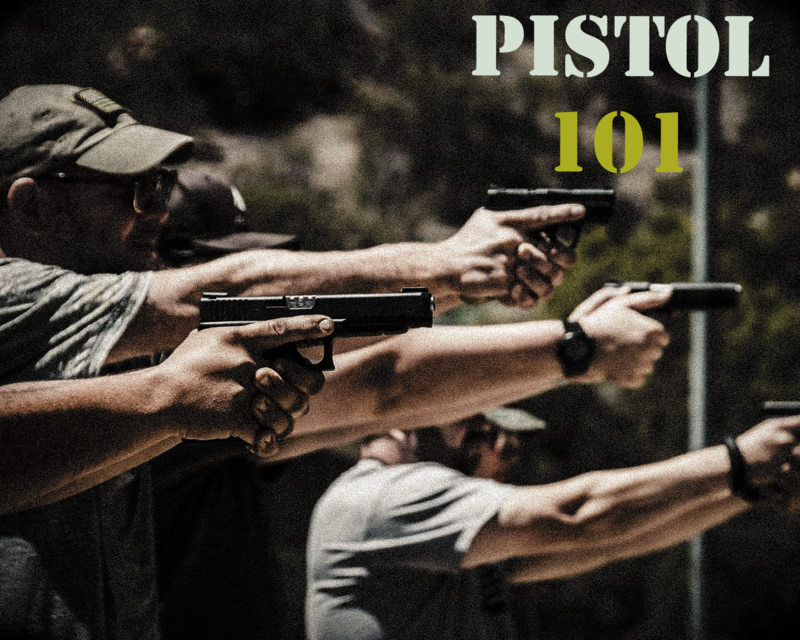 We created this program for fighters and Krav Maga practitioners, but it also provides a solid foundation for anyone looking to improve their general fitness. The functional mobility class is geared towards helping you improve your mobility by combining techniques that emphasize optimal joint positioning, proper diagphragmatic breathing and joint stability. This class is great for those who have minor aches and pains associated with muscle tightness, those looking to improve performance in an athletic endeavor, and/or those who’d like to improve movement awareness.